As a Sport Ngin user, you have a website for your team or organization in which most of your visitors are fully engaged with recent stats, new photos and current news revolving around you and your athletes. With page elements such as- news aggregators and photo slideshows, it is easy to display this content for your website community, so they can keep up-to-date with everything going on. But what if you want to reach a further audience with content and extend your fan-base? Or possibly provide your current fans with more to engage with? Social media can be the perfect outlet, and Buzzsumo can be the perfect vehicle for you to have an A+ social media game. Buzzsumo is a content monitor, that uses advanced search engine technology to help organizations reach their social media goals. Although Buzzsumo has 3 differently priced packages, they also have a free-limited subscription for anybody to use. A couple of core functions of Buzzsumo are: Computation of most shared content on any topic, identification of key influencers within any industry and what’s recently trending across the globe. For a full list of Buzzsumo functions click here. 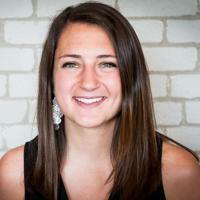 First, if you haven't already, you will need to give your website visitors a path to your social media platform. 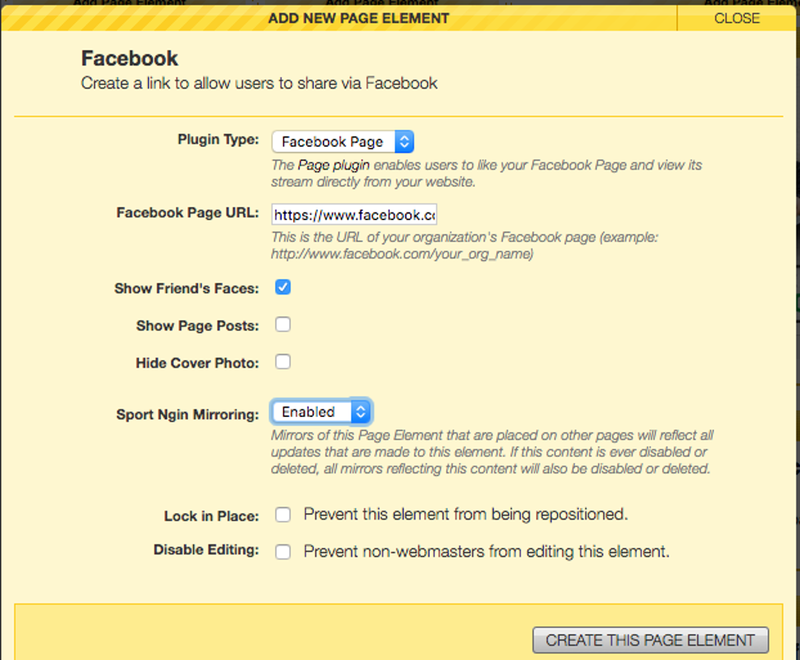 The easiest way to do this is by adding a page element and selecting "Facebook". Then enter the corresponding information. And ensure it is in the correct position. When creating a new account with Buzzsumo you will first need to signup with a free trial of Buzzsumo Pro. Once the free-trial expires, you will be reverted back to a Buzzsumo free-limited plan. 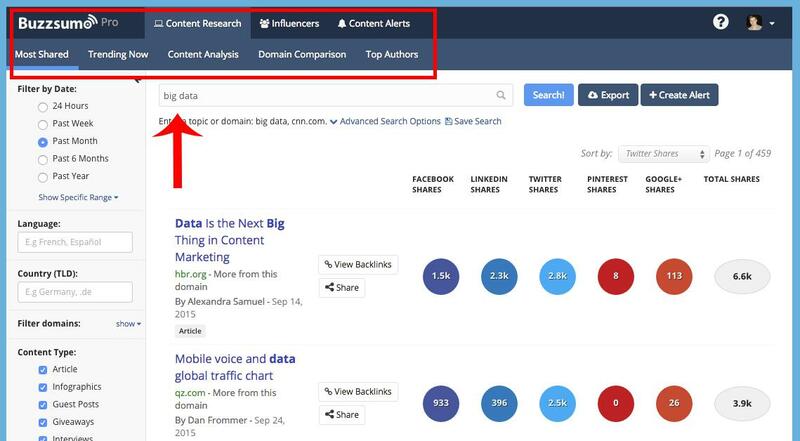 Once your account is setup there are different tabs to explore on the top bar of your Buzzsumo dashboard. Plug in keywords, hashtags or specific people to see relevant content for your social platforms. 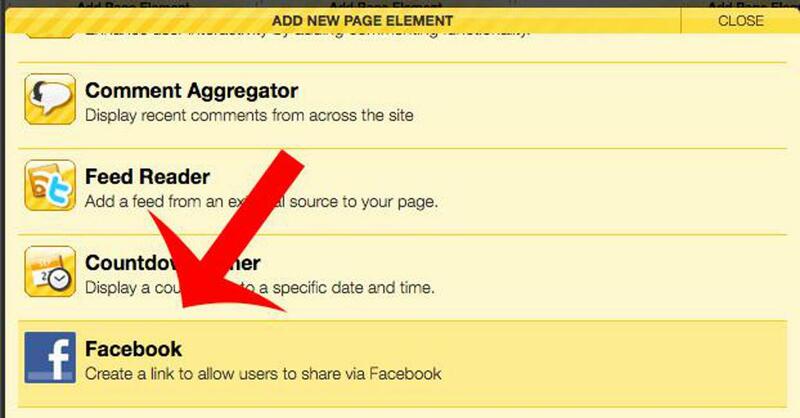 For more information on adding social page elements to your website, click here.